Lipotherapy is a method of localized spot fat reduction that can shrink various areas of the body, including double chins, bags under the eyes, the lines between the nose and the corners of the mouth, arms, love handles and buttock folds, which can be difficult to firm up or reduce through weight loss alone. Lipotherapy works by causing emulsification and lysis, or dissolution, of fat cells. The fatty acids are then slowly reabsorbed and flushed from the body over a period of weeks. Injections are given every two weeks with a maximum of six treatments per area. The number of injections required depends on the thickness of the fat layer and individual response. 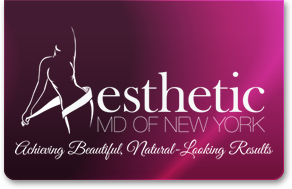 The injections will continue to work on dissolving fat for up to six months. If necessary, the series can be repeated again every six months, but is rarely necessary. Between 75-80% of patients have a significant, visible reduction and loss of inches in the areas being treated. Lipotherapy is not a substitute for a weight loss program. A healthy diet and exercise regimen are also necessary for optimal results. It works well in conjunction with a weight loss program in order to achieve optimal results. Once results have been achieved, they will remain as long as significant additional weight is not gained.